I love to look at the clouds as I drive. Each day and in the same day the clouds change continuously. I’m fascinated by the clouds. I want to touch them and roll around in them. It seems a bit absurd to try to capture something so soft and ever-changing in a medium that’s so hard and permanent but for some reason I had to do it. 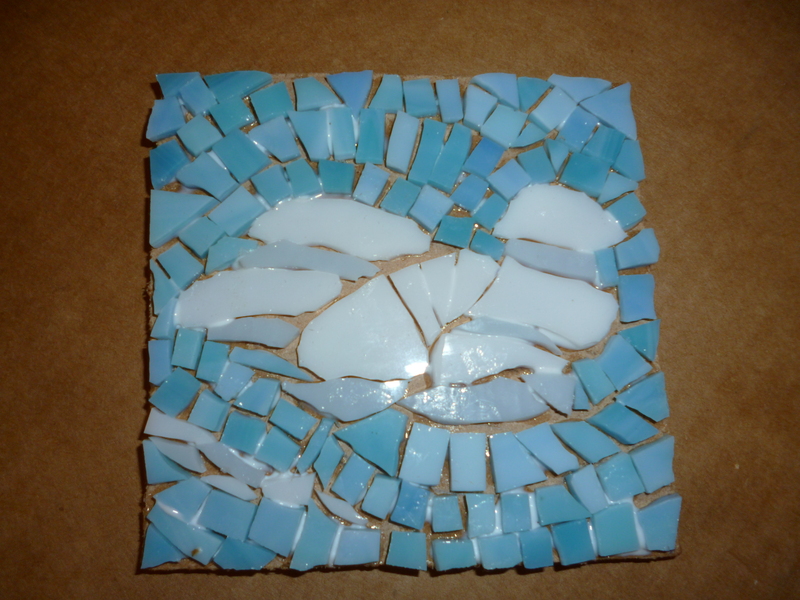 As I look at today’s creation I’m not even sure it looks like clouds. Maybe the grout will help. We’ll find out on Sunday. It may take me a few trys to get this subject perfected.